The company "Azov-Buksir Ltd" was founded in 2002. 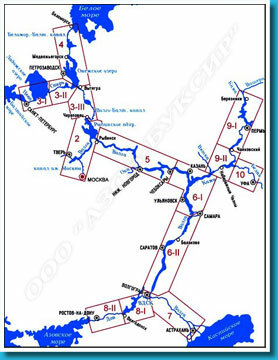 For the period of 2002 to 2013 produced more than 150 towing objects of varying complexity - both in terms of technical and in terms of all the formalities associated with the passage of foreign objects on the inland waterways of the Russian Federation. We are a stable and responsible transport company . Provide quality services for freight in the Russian Federation and abroad . Closely with various Russian and foreign production and trading companies, business organizations and forwarding companies for receiving and sending various cargo and equipment . We are ready to make hauling and towing declared facilities and cargo vessels and tugs on the barge - towing composition as the offshore areas , and the Russian GDP . 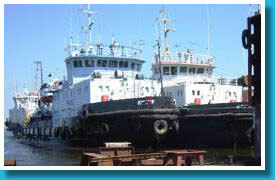 In our work , our company undertakes design and deal with all the necessary formalities with the delivery of goods or objects - this is the work of tugs , both basic and auxiliary ; agency services in ports ; clearance of border and customs formalities ; resolution of the Ministry of Transport at pass on Russia's GDP ; development and coordination of activities with the RMRS and PPP to hold tow - carriage; assistance in the development and coordination of the project haul - loading / unloading. Your request, we are willing to accept in a convenient form and format data. You will receive expert advice on design and technological issues, we develop a scheme of loading of any complexity, for the passage channels of GDP, taking into account their specific characteristics: size, tall size, depth, natural phenomena of the tides. Flexible pricing and good management enable us to always find a compromise and move forward with you. Will consider all offers, including your directions.